See who is at your door, let them in or keep them out with our home intercom systems. TES install, repair and maintain intercoms for Gold Coast & Brisbane homes and businesses. 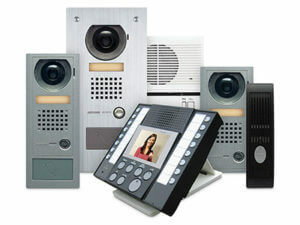 Ranging from budget intercom systems for homes to video intercoms and access control systems for schools and businesses. Audio-only intercoms for house to gate systems. View and talk to visitors at your gateway. Open door or gate at the click of a button. 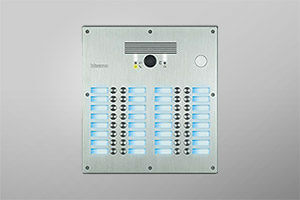 Add extra indoor & outdoor stations to your intercom. TES provides a range of intercoms for homes. Ranging from budget audio-only up to systems inclusive of video and gate opening (see door entry below), TES systems fit every budget while delivering fantastic quality intercom systems. See who is at your door, communicate with them, and let them in. Our experience means that we at TES are called on to provide expertise for repair and maintenance for intercoms reguarly, from single station home systems to multi-station systems for real estate complexes, schools, and high-rise. Our experience helps us deliver the best possible system to your home, a reliable system for you and your family. With TES gate intercoms you can open doors and gates remotely. Depending on the system you choose, you can see and/or hear your visitor before you let them in. We’ve been working in this industry for decades and will recommend the right intercom gate entry system for you. We’ve installed door entry systems for homes, estates and large businesses. We can retrofit existing and older homes also. If your system is outdated or failing, call TES for a quote. Our experience in the industry means we can repair intercoms of pretty much every make and model. Common problems with intercoms relate to cable continuity or resistance problems. As licensed data cablers we’re able to test and repair. Other issues relate to ingress of water or wear and tear. Whatever the issue our intercom repair team will fix it. We’re always happy to talk to people regarding their present system and present cost-effective alternatives to replacing intercoms. If you have an older-style home or apartment, TES Gold Coast can retro-fit a modern and cost-effective intercom for you. Adding an intercom to your existing dwelling can increase security and resale value. Call us for a quote on 0402326389. With TES Gold Coast you’re dealing directly with the team who install your intercom. We have no sales staff, do not use contractors or outside labour. When you talk to Dallas you’re talking directly with the man with 20+ years experience installing intercoms across the Gold Coast. 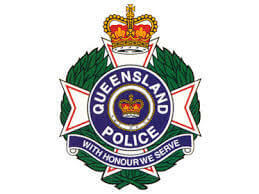 For the most reliable and trustworthy expertise call Dallas on 0402326389.